Tourism is a flourishing industry and vital in mobilizing the national economy. Malaysian economic sectors have benefited from tapping on the tourism industry with various promotional activities that include shopping. Shopping is the most favourite tourist activity and a significant economic contributor to the tourism and retail industry. Although various researches were conducted on tourism and shopping, a comprehensive investigation on tourist’s shopping styles and preferences remains very much unanswered especially in the Malaysian shopping landscape. Thus, a comprehensive research on this subject and arising issues is much needed to avoid a drop in retail sales, a decrease in tourist spending, and other unfavourable aspects. Therefore, to fulfil this gap, this study was conducted to examine the interrelationship between tourist demographic characteristics, tourist shopping styles, and tourist shopping preferences, during their visit to Kuala Lumpur. Administrative questionnaires were distributed personally to 471 tourists using mall intercept surveys. Data were analysed using the Statistical Program for the Social Science (SPSS), and findings revealed that there is a significant relationship between demographic characteristics and tourist preferences towards tourist shopping style. Both local and international tourists prefer to buy clothing while they are in Kuala Lumpur. In terms of their shopping styles, international tourists tend to be novelty-seeking, and local tourists tend to be price conscious since they prioritized value for money while shopping. This study includes, among others, the matters of influence, such as the styles, choices, and regulatory impact, such as tax redemption to assess their preferences. This study concludes that understanding tourist shopping styles according to their preferences and demographic characteristics is beneficial for shopping tourism and retail industry in Malaysia. 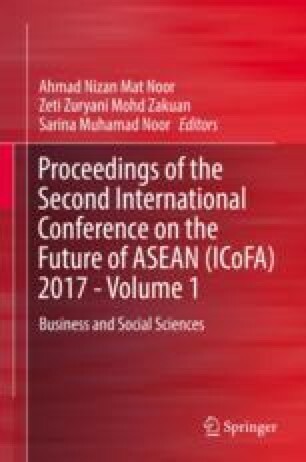 Jaafar, N., Hamiruddin, S. H., Sohaili, M., & Laili, N. (2012). Tourists’ behavioural TIA (Travel Industry Association of America), (2001). Executive summaries: The shopping traveller. http://www.tia.org/researchpubs/executive_summaries_shopping_traveler.html. Accessed 20 May 2015. Kim, V. (2014). CNN online. http://edition.cnn.com/2013/11/18/travel/worlds-best-shopping-cities/. Accessed 25 Jan 2016. TIA (Travel Industry Association of America). (2001). Executive summaries: The shopping traveler. http://www.tia.org/researchpubs/executive_summaries_shopping_traveler.html. Accessed 20 May 2015.